London, England -- Karl Marx declared religion ‘the opiate of the masses’. This single statement has served as the foundational thought regarding the Communist attitude to religion in general ever since. But exactly what this means for non-European religions has never been made clear. Both Marx and Engels thought deeply about the influence of religion upon the working classes in Western Europe, and as a result, analysed the effects of the established Judeo-Christian religions upon the masses. The other religions of the world were virtually unknown in 19th century Europe at that time, beyond vague, obscure, and often misunderstood, fragmentary references. As a result, ‘ALL’ religion has been defined by this initial statement of Karl Marx, by Communists ideologues who came after him, regardless of the particular religion’s place of origination, philosophy or distinctive history. Religion, itself, is viewed as an internalisation of outer hopeless circumstance, a hopelessness that is the reality of external, oppressive, social forces, a symptom of living in a bourgeois, Capitalist society that allows for little or no freedom of expression outside of the exploitative, economic arrangement, but instead promises only a ‘daily grind’ for survival. In such circumstance, the human being experiences a need to ‘transcend’ the oppression, but instead of changing the outer circumstances, this tendency is averted away, and focused into building an inner structure of mythological escape in a distorted attempt to relieve the outer, social pressure. The source of outer suffering is never relieved, of course, and the religious attitude has to create a compensatory award system that promises ‘salvation’ in some far off time and place, but never observable in the present. In the Judeo-Christian theistic tradition, it is the promise of heaven or the threat of hell. A central God figure dispenses arbitrary justice upon the masses, and virtue is defined as the accepting of suffering in physical life, enhanced by not changing or eradicating the source of the social suffering. For Marx, the religious attitude teaches that we should accept suffering and oppression today for a far off reward that never arrives because it does not exist. Marx likened a society in the grip of established religion as being like a drug addict viewing the world through a drug induced haze. The religious mind-set, therefore, prevented the working class from establishing a clear view of what is really going on in society. A working class with no awareness suffers from a ‘false consciousness’, and can not rise up in revolution. Therefore, Marx views religion as part and parcel of the oppressive, capitalist system which actively strives to keep the down-trodden firmly in their place. Not all religions are theistic; that is, require an unquestioned belief in a central god concept. It is true that virtually every religion in the West is theistic, but in Soviet Russia, the philosophical path of Buddhism existed, and an attempt was made to integrate it into the Communist framework of society. 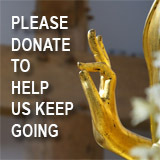 Buddhism acknowledges that life is suffering, and actively strives to over-come that suffering through meditative endeavour. Lenin, the leader of the Bolshevik party (that took power in Russia in 1917 – eventually forming the Union of Soviet Socialist Republics), was of the opinion that Marx was correct, but that religion, itself, should not be oppressed or outlawed, creating a sudden, and potentially damaging, historical rift with the past. Therefore, Lenin prevented the Bolshevik party being declared officially ‘atheist’. He thought that religion was so entrenched in the suffering masses that a mere outer propaganda offensive would not get to the root of the matter. Lenin, like Marx and others, wanted to build a Socialist society through the use of scientific planning. When living standards rose to never before seen levels of affluence and compassion, heaven would have been made on earth. And as a consequence, the archaic thought structures and superstitions of theistic religion would eventually wither away. When viewed in this light, religion is an inner reaction to outer oppression, nothing more. When the outer oppression ceases, the inner religious attitude is not triggered and does not occur. Lenin sought a natural progression over time, rather than a sudden and abrupt ending of religion in the Soviet Union. This is seen in the continued existence of the Russian Orthodox Church, and the forming of the Russian Buddhist Church, under Bolshevik rule. The Russian born Buddhist Lama, Agnav Dorzhiev, (1854-1938), worked to propagate Buddhism in Russia both under the Tsarist regime, and under the Bolsheviks. In John Snelling’s book entitled ‘Buddhism in Russia’, we learn why Dorzhiev believed Buddhism and Marxism were compatible. Despite the work of Dorzhiev and others, all religion came under suspicion in the USSR. Russia, as a country in Europe, was probably the first European country to develop Buddhist practice, particularly amongst European Russians. However, at least two national minorities – the Buryat (south central Russia), and the Kalmyks (west Russia), were descended of Mongolian stock, and practiced mainly Tibetan Buddhism. Dorzhiev, himself, a Russian born Buryat, was the tutor of the 13th Dalai Lama, and Lhasan emissary to the Tsar. He was also instrumental in the building of the Buddhist temple of St Petersburg (completed in 1915). Stalin declared Collectivisation in 1931, and a new wave of religious persecution was begun. 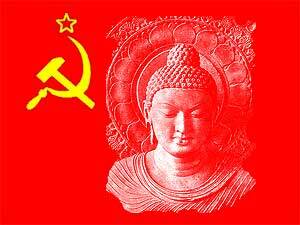 And this time period witnessed a new anti-Buddhist rhetoric in Communist propaganda. Stalin, (unlike Lenin), did not believe that religion would wither on the vine without actual destructive pressure from the outside. Dorzhiev, himself, like thousands of others, was arrested by Police in 1938, where it is believed he died of a heart attack. The Kalmyks of eastern Russia, were cleansed from their homeland, and banished to Siberia where many thousands died of starvation. Buddhism has the potential to be a very progressive and supportive force in social reform and change that could benefit all beings. 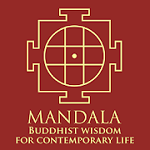 Buddhist meditation frees the individual from the bonds of inner tyranny. Today, multi-ethnic and multicultural Russia allows Buddhist practice. Buddhism encourages and develops a state of inner Socialism that in the right circumstances can manifest in the outer environment. It is interesting to contemplate what would have happened if the Bolsheviks had approached Buddhism in a different light, and attempted to equate Buddhist loving kindness and compassion with Communist collective sharing and progressive science — the outer freedom that the Bolsheviks promised the oppressed masses of Russia and that Karl Marx intended for the world. Adrian is a published author who writes on the subjects of political philosophy, Chinese cultural studies, and Eastern religion. His recent article regarding the occult involvement of Sir Isaac Newton appeared in the December (2010) issue of Paranormal Magazine. Politically 'of the left', he has spent recent years involved in the research and study of the British left wing, and has been inspired to radically 're-think' many key Marxist notions.